HARLINGEN — They’re the groundbreakers, and they know it. 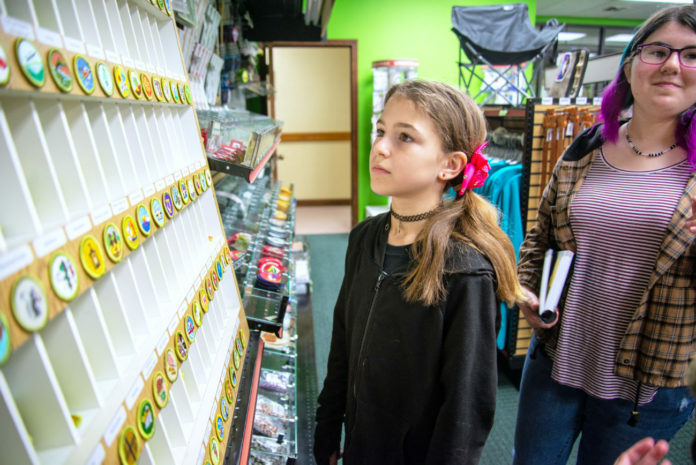 Just ask Dallas Petta, 13, who’s looking forward to her first Venturee next month at Camp Perry where she’ll get to participate in archery, pistol shooting, boat racing and other scouting events. “We are going to show those boys,” said Dallas, a member of Scouting Troop 161 of Los Fresnos. She is one of many excited and adventurous girls joining Scouts BSA, the former Boys Scouts of America. For the first time in the organization’s history, girls are now being allowed to earn merit badges in such diverse subjects as camping, drafting and forestry. Scouts BSA begins accepting girls this year. As always, individual troops hold their own meetings. 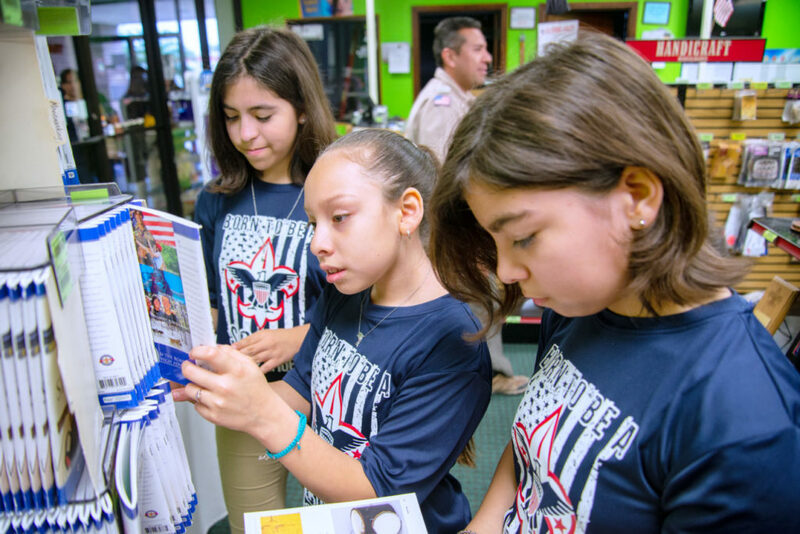 Last week, Dallas and other girls gathered at Rio Grande Council–BSA at 6912 W. Expressway 83, where they were introduced to the Scouts BSA program. Rudy Gonzalez, CEO of RGC–BSA, said they would be able to officially register on Feb. 1. He said Scouts BSA is looking for more charter partners to sponsor new troops such as churches and businesses. “I look forward to earning merit badges and getting up to the rank of Eagle,” said Jasmine Escalona, 14, a member of Troop 1065 from Mission. “I look forward to having a good time and camping out and doing all these activities,” Jasmine said. Shelby Baker, 10, also of Troop 161, was also excited about the new prospects. Scouting is an important way for young people of both genders to learn important skills for their futures, Gonzalez said. The name change from Boy Scouts of America to Scouts BSA comes amid strained relations between the Girl Scouts and Boy Scouts of America, according to an Associated Press story last year. The article said Girl Scout leaders were blindsided by the move, and they are gearing up an aggressive campaign to recruit and retain girls as members. Meanwhile, the girls on Saturday were psyched about the opportunities available to them in the new Scouts BSA. They’ll now be able to attend Winter Camp at Camp Perry as well as Powwows, Camporees, the yearly Jamboree and everything else the boys can do. “I look forward to learning outdoor things and spending time away from technology,” said Cadence Vaughan, 15, a member of Troop 1065. “I’m looking forward to spending time with my troop,” she added. Mothers were likewise delighted for the girls. “I appreciate all the opportunities BSA has to offer from technology to STEM and all the outdoor activities,” said Isabel Stroop. Her daughter Faraly Stroop, 15, has joined the newly formed Troop 172 in McAllen. “I’m interested in soil and water conservation, digital electronics, environmental sustainability and Dutch oven cooking,” Faraly said. They look forward to telling their friends all about it and hopefully recruiting new girls to join their ranks.